This copy was kindly gifted to me by the publisher and it's a book I have really mixed feelings about. Sometimes I struggle with establishing a balance between my (sometimes unfair) expectations of a book and what the book actually is in order to give it a fair rating. Because it can only be what it already is. As a child Alice invented an imaginary friend called Sam as a way to help her cope with loneliness until one day, he went away. Now an adult Alice is involved in an accident that brings Sam back into her life and he feels more like a real person than ever. In the end I thought that it was okay. I suppose I was expecting a bit more of a disconcerting atmosphere but I couldn't really begin to explain why I was expecting that. If you like novels that explore family dynamics and the effects those relationships can have, this might be one to pick up. I just feel that it didn't have the depth I was hoping for; everything felt a little bit surface level. This copy unexpectedly turned up on my doorstep one day last month and I did wonder if I'd been buying books in my sleep until I saw a press release tucked inside. I have absolutely no idea who sent it or where it came from, but I happily delved inside regardless. 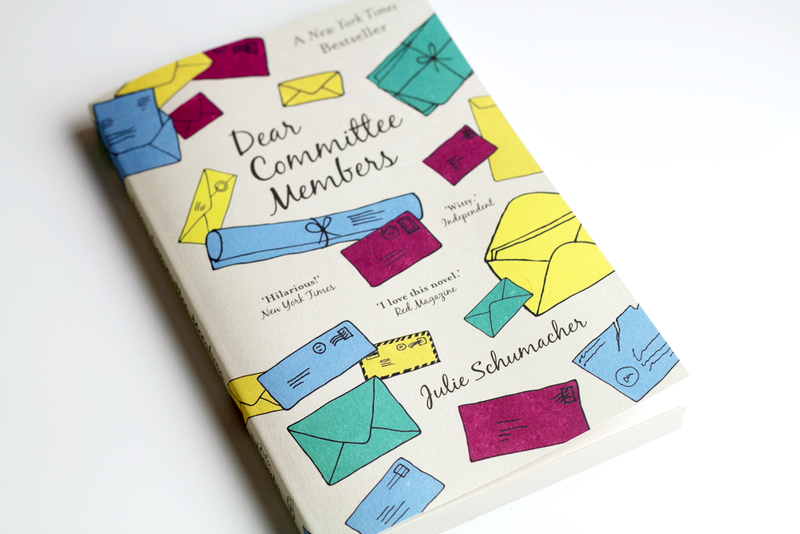 I really admire how Schumacher sustained a narrative through a series of letters and emails to different people about entirely different topics without also being able to read the replies. It's a really clever book that could easily have felt disjointed. Jason Fitger's letters are packed full of wry wit, they're extraordinarily passive aggressive in places and I was left with a pretty good idea of his character. He very rightly earned the nickname of Jay-the-Obtuse and one of those wonderfully flawed people I can't help but feel drawn to. At just 180 pages it was a really quick read, perfect for a quiet Sunday afternoon. There are humorous insights into academia, interdepartmental ill-feeling and the aftermath of saying exactly what you want to even if it's probably best not to. Not laugh out loud hilarious, but witty and really smart. I was perusing Bookbridgr for the first time in a really long time and this collection of short stories caught my eye. I requested it not really expecting to be approved but a few days later this copy landed on my doorstep and I almost immediately got stuck in. This is my book of the month by a long way, so I'll be back tomorrow morning if you'd like to know why I think it's a truly fabulous collection! 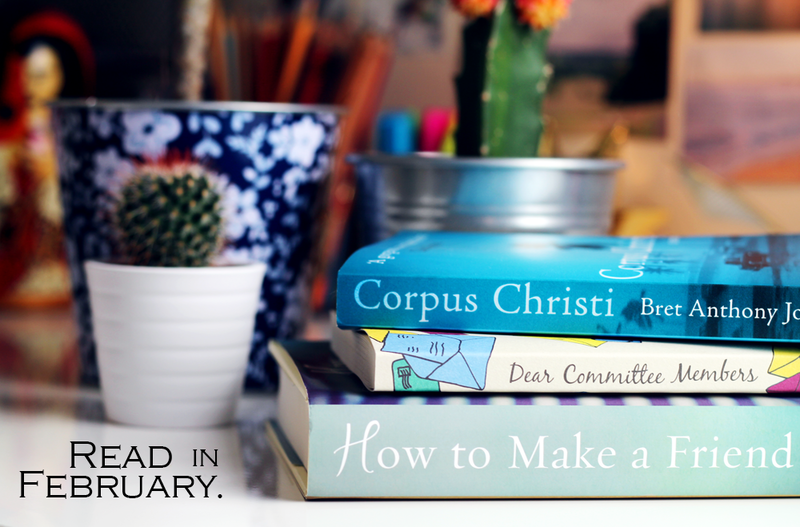 What was your favourite read during February? Hi darling!!! :) Last month I read two books of Camilla Lackberg, "The Ice Princess" and " The Preacher" and I liked them a lot!!! I'm in love with this Swedish writer and I thinks she is brilliant and very talented!!! 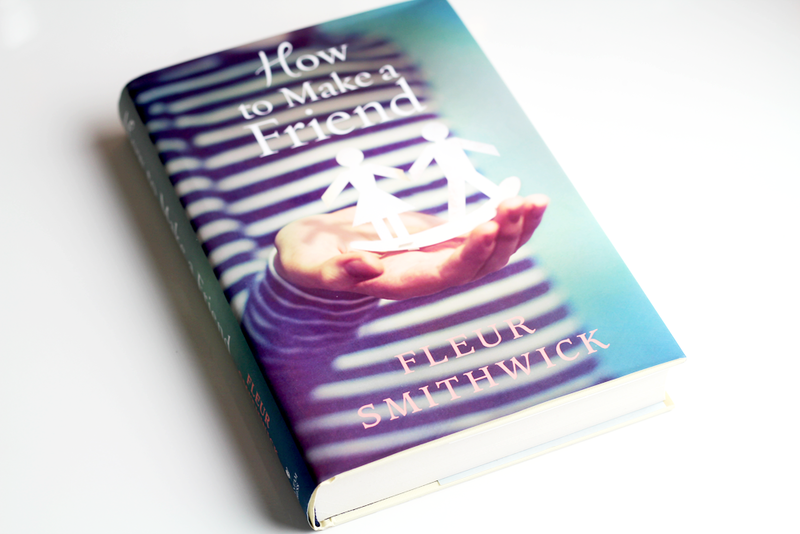 I'm so curious about " How to make a friend", it reminds me a book I read some years ago by Cecelia Ahern!!! How to Make a Friend sounds like a good premise, but I've read similar books before and have been disappointed, so... Probably not one to risk. I read 10 books in February, so it was quite a good reading month for me!